Besides eating healthier and exercising, drinking more water is another resolution people make for the new year. I don’t know what it is about water that makes it so hard for people to drink it. My dad used to say he hated it because it was “too thick”, I don’t know what he meant by that but he couldn’t stand it. I, on the other hand, absolutely love it. Water is my favorite drink and I can drink over the recommended 8 glasses a day. I actually prefer drinking water without adding any flavor to it unless I drink it with a meal. In that case, I add a couple of slices of lemon or cucumber or a handful of berries. 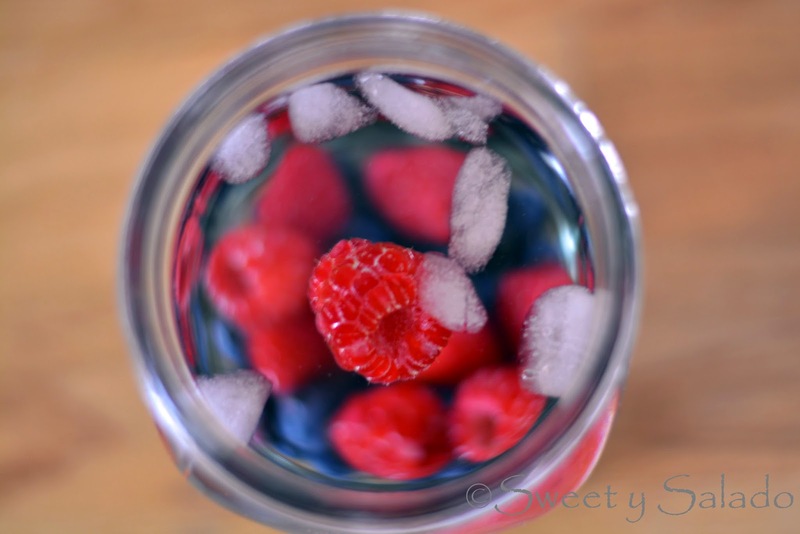 If you are one of those people who can go all day without drinking water because you just don’t like the taste of it, then you’ll see how great it will taste once you infuse it naturally by using whatever you have in your fridge. 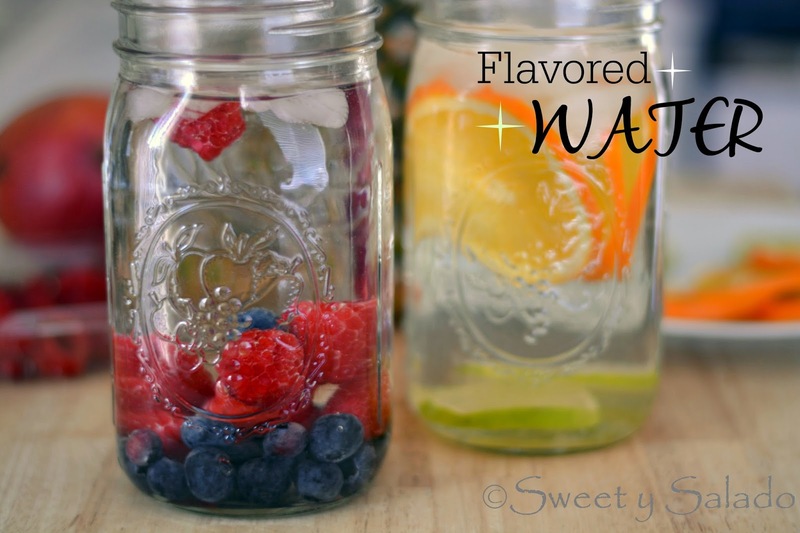 I’m sure this will help you enjoy drinking more H2O everyday. Fruit: Any kind of fruit that you like or have on hand like orange slices, lemon slices, lime slices, berries, pineapple, mango, etc.. Cucumber slices work really great as well. Herbs: This is optional but adding herbs like rosemary, basil or mint help enhance its flavor naturally. 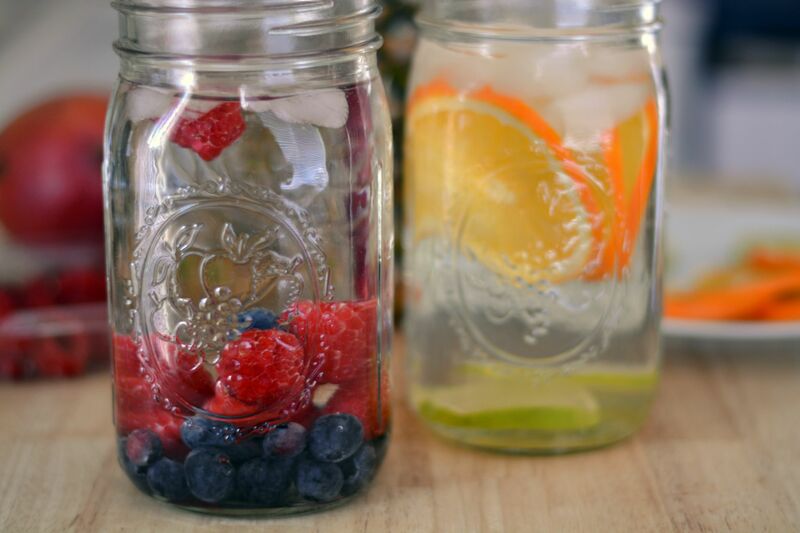 Add fruit and herbs of your choice to a glass, jar or pitcher. Add ice leaving room for water. Add water and chill. The longer you leave it in the fridge, the stronger the flavor it will have. I'm so happy to find you and your wonderful Colombian recipes. I have an teen exchange student coming to live with me here in Canada for 5 months. I love food from everywhere; so now with your recipes, I can cook some Colombian food. Thank you for your great blog.